28 November 2018 – A smart city project will be undertaken at the PAYCE urban renewal project in Melrose Park, after a consortium led by the City of Parramatta secured a $571,000 federal government grant. 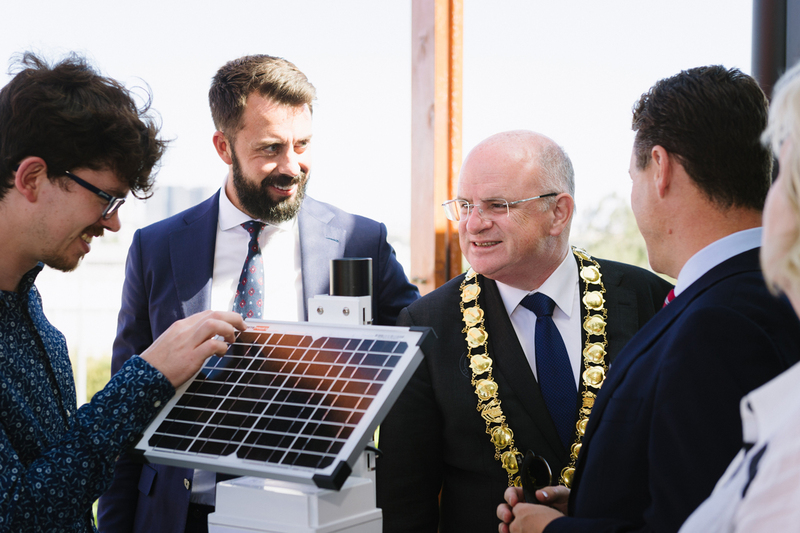 The Smart Cities program grant will be used to install environmental sensors at the site to assist developing a “climate responsive neighbourhood”. City of Parramatta successfully applied for the project grant with the support of PAYCE and the University of Technology, Sydney, ESRI and Urban Institute. The Melrose Park urban renewal is a 10-year project on a 30-hectare light industrial site, near Parramatta. When completed, it will include 6000 apartments, a retail centre, parklands and community facilities. PAYCE Director Dominic Sullivan said that Melrose Park, Sydney’s largest urban renewal site, was an ideal project for a major smart city initiative. “We congratulate our partners, the City of Parramatta, University of Technology, ESRI and Urban Institute in attracting this funding for what will be a ground-breaking project,” he said. The project will help inform the design and development of cool, clean, quiet and liveable communities by providing detailed new data and integrating it into urban planning. A network of environmental sensors will gather data about air quality, heat, humidity, noise and stormwater outflow on and adjacent to the development site during the early stages of the project. The smart sensing and modelling approaches pioneered by the project will inform smarter approaches to planning and development across Western Sydney and around the country. Mr Sullivan said the data will be used in the planning and design phases to deliver superior environmental outcomes. “There are examples around the world of good design assisting in the management of climate extremes, particularly hot days,’’ he said. Mr Sullivan said the data would also assist with water management. “For example, the sight of sprinklers turned on and wasting water when it is raining will be avoided,” he said. The system will remain in place throughout the construction period and into the functioning life of the community. Mr Sullivan said that residents and the neighbouring community would also have access to the data to allow them to become actively involved in the project. “The key to smart city initiatives is using data and technology to make places more liveable for the community,” he said. The Melrose Park project was one of 32 smart city funded projects announced by the Minister for Cities, Urban Infrastructure and Population Alan Tudge.